Tips for your up'n'coming job interview! Are you looking for some interview tips so that you can ace that upcoming interview you have? An interview can be a nerve racking experience if you don’t know how to successfully pull off an interview. Nevertheless, with a few interview tips, you will be on your way to getting that job you need so desperately! Among the many interview tips that you will come across, the very best interview tip you will ever get is to be yourself. Don’t be afraid to smile and be proud of who you are and what it is that you represent. You are a unique individual and must bear in mind that there is no one else like you on this earth. In believing in yourself, you can successfully prepare yourself psychologically for that nerve racking interview! A great tip to remember while on an interview is to turn off your cell phone or pager. There is nothing more annoying to an employer than a potential employee that has a cell phone ringing every five minutes during an interview. Plus, continuous interruptions may be a sign of unprofessional behavior so it is best to either turn off your cell phone or leave it at home. Pay attention to the interviewer while you are being interviewed; this tip is essential and cannot be overrated. An interviewer’s tone of voice, their demeanor, their style of speech and their body motions can indicate to you how you should respond to the questions they pose. For instance, if an interviewer is stern with direct, to the point questions, you should respond with to the point answers. Conversely, if an interviewer prompts you to tell them about yourself, your hobbies or your likes and dislikes, feel free to elaborate—just don’t go overboard and begin rambling about your favorite pastimes! Don’t be afraid to ask questions during the interview process. In fact, make sure that you do. If you don’t ask questions, you will not get all of the information you require and you may even come across as overly confident. Even worse, you may come across as apathetic. Therefore, show your interest in the job and ask questions at every opportunity. 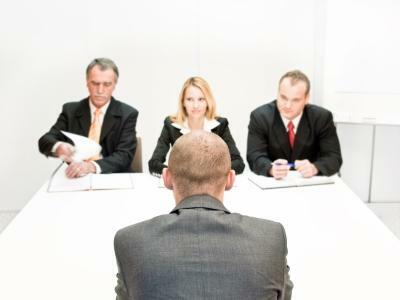 Don’t be too eager to answer questions while on an interview. Overly eager individuals tend to cut off the employer while they are speaking and interrupt the employer during their questions. Wait until you are sure the employer is done asking the question before you provide your answer. If you wait until the employer is finished speaking, you will also give yourself time to reflect on the question being asked and an insightful employer will see that you have seriously considered your responses. There are literally hundreds of Interview tips on the Internet. Nevertheless, not all interview tips are excellent tips and it is important that you logically weed out the good tips from the bad ones. Therefore, if something doesn’t sound like a good idea to you, then simply refrain from taking the advice. Finally, the best advice you can get is to remain true to yourself, relax and be calm throughout the entire interviewing process. The interviewer hopes that YOU are the right person for the job. They are under pressure to fill the position so that they can get back to their own work. Therefore you are in a greater position of strength than you think. Concentrate on what you have to offer in the way of qualifications and experience instead of feeling intimidated. Example question: How would you describe yourself? Your answer: Should describe attributes that will enhance your suitability for the position. Have some ready in advance. Example question: What are your long-term goals? Your answer: Should be career orientated. Make sure you have goals to discuss. Example question: Why did you leave your last job? Your answer: Could be more responsibility better opportunity increased income. Do not be detrimental to your previous employer. He could be the interviewer's golfing partner. Example question: Why do you want this job? Your answer: Your answer should be: more responsibility or better opportunity or similar. Not: because it is closer to home or the gym. Example question: What are your strengths? Your answer: Should highlight accomplishments and experiences that relate to the position for which you are applying. Also give examples of situations where your strengths have been demonstrated. Example question: What are your weaknesses? Your answer: Should not be a list of deficiencies. Don't mention anything that could make the interviewer question your ability to do the job, for example "I am always late for everything." Instead, discuss a weakness that could also be a strength such as "I am a workaholic!" Describe your current / most recent position. What made you want to make this change? What do you most enjoy doing in your current /most recent position? It helps you find out more about the company and the position. It can be used to divert the interviewer away from a subject you may wish to avoid. It can help build a rapport with the interviewer. It demonstrates an interest in the job and the company. The questions must be about the position and the company. Avoid questions about salary, benefits and facilities until after you have been offered the job. You should already have researched the company and it's products and services. Your questions should demonstrate knowledge of the company's history, successes and problems. If the interviewer is a representative of the personnel department the questions should relate to the company and be general. Specific questions relating to the position should be kept for the line manager who will have a more detailed knowledge. What are the main responsibilities of the job? What are the most difficult aspects of the job? What is the career path relating to this position? What is the company hoping to achieve in the next 12 months? What new products are the company planning to introduce in the future? Are any major changes planned for the department/company? Annual Reports relating to specific companies. Companies often have their own web site. Newspapers - search on-line press reports including archived articles. Obviously you should be clean and smart in appearance but you should also dress appropriately for the position, for example: a student placement that is more expensively dressed than the Managing Director may have a negative impact. Do a dummy run if you are not sure. Make sure you have a mobile phone and a telephone number so that you can ring ahead if circumstances beyond your control are making you late. Be polite to everyone you speak to, it could be the Managing Director's cousin! Have a copy of your CV with you.